PPM Works offers a full range of Project and Portfolio Management consulting services, all designed to help your company reach its potential. Whether you’re looking for a small tweak or complete implementation, we have you covered. Each company is unique. One-size-fits-all approaches will never help your business reach its full potential. We deliver custom PPM solutions, tailored to you – your industry, your culture, your one-of-a-kind challenges. 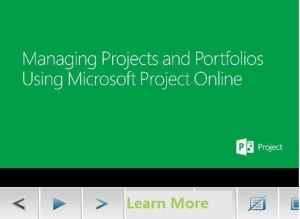 I’ve attended several industry webcasts, conference sessions, and vendor meeting – this week’s MPUG webinar certificate series on Microsoft Project (Online, Server, and Professional) was by far the best and I found it very useful – thank you. Thank you for the information share today! You are so knowledgeable and a gifted presenter/teacher. Great session on reporting for Project Server 2013. Thank you for the information you provided during the webinar yesterday… it is an excellent product. Looking at your product it will help me grow as a PM and is helping my company mature too. Thank you. Richard Armitage, Employee Based Systems, Inc. I wanted to express my appreciation for the webinar yesterday and to take advantage of your workflow toolkit. It appeared to be a very good layout to support both the functional and technical requirements. Senior Systems Analyst, GROWMARK, Inc. The webcast was excellent. I have never used the Project Server Workflow before. So, it was something good to learn and I think it will be very useful in keeping track of project progress. Thank you again for a great presentation. Cost factors aside this presentation has been the pivotal point to a decision to move off SharePoint/Project Server 2010 in-house and go to SharePoint/Project Server 2013 Online. Thank you very much for the tips and best practices on Project Workflow. The webinar was very useful to me.